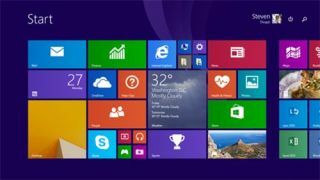 Microsoft has temporarily suspended the rollout of Windows 8.1 Update 1 for business computers after discovering a Windows Server Update Services (WSUS) problem that prevents scanning for future updates. The problem only shows up if a client PC has Windows 8.1 Update KB 2919355 installed and then attempts to scan against WSUS 3.2 while running on Windows Server 2003 SP2, 2003 R2 SP2, 2008 SP2, or 2008 R2 SP1. It also only affects systems where HTTPS and SSL are enabled, while TLS 1.2 is not enabled on the server. Some workarounds for those who have already deployed the update include disabling HTTPS on WSUS or enabling TLS 1.2. These can be changed back when Microsoft releases a fix. The update is still available from the Windows Update Catalog or Microsoft Developer Network. However, Microsoft recommends that businesses delay the deployment of this update until it has fixed the issue. The blunder, discovered on the update's launch day, won't help with business adoption of Windows 8, which has already seen some resistance thanks to the removal of popular mouse and keyboard features. Update 1 fixes some of these issues, while other features are set to return in the future. Meanwhile, for home users who want to manually install Windows 8.1 Update 1, check out our instructions here. Could Windows 9 launch Microsoft back into business?